ThoughtFarmer 3.5 isn’t just a great intranet platform. It’s a powerful way to collaborate with co-workers, capture your intellectual capital, strengthen workplace community and drive innovation. 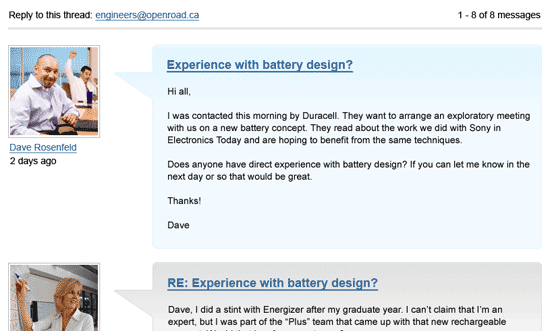 Some organizations adopt wikis and social software only to discover that it’s hard to get people to stop collaborating via email. Now, with ThoughtFarmer’s Discussion Capture, you don’t have to get them to stop. Discussion Capture snatches your email, archives it, adds photos and links, and indexes it. With a few clicks, you can connect new or existing email distribution lists to ThoughtFarmer. Discussion Capture monitors all email discussions, automatically creating pages from emails and indexing the contents for search. Rich formatting, images and attachments are all preserved. Conversations are threaded together and user profiles are linked up, providing additional social context. Optional Microsoft Exchange integration lets you manage distribution list membership within ThoughtFarmer or Exchange. 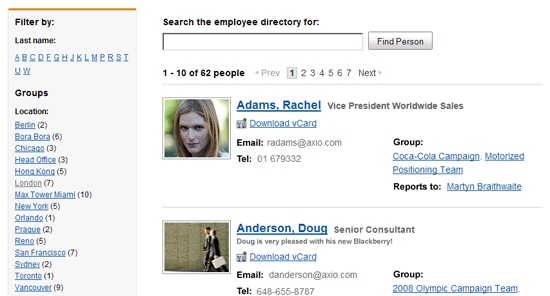 The all-new Employee Directory in ThoughtFarmer 3.5 makes it easy to browse, sort and filter people. Listings are larger than before, making them easy to scan. The data displayed is configurable by administrators, so you can choose to show the contact info most pertinent to your organization. The left-hand filters panel lets you narrow down by department, location, project, tag, and more, progressively filtering down to the person you’re looking for. Two well-respected designers consulted on the enhanced user interface of ThoughtFarmer 3.5: Dave Shea, author of CSS Zen Garden, and Mike Precious, an up-and-coming Toronto-based multimedia artist. The result is a fresh, modern design for ThoughtFarmer that remains easy to use, fast to load and skinnable to reflect your organization’s branding. Tree view navigation is a simple but useful enhancement to ThoughtFarmer’s left navigation: an expand/collapse icon beside each nav item. 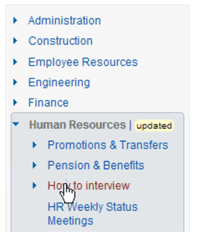 Quickly drill down your intranet’s hierarchy without leaving the current page. Content mirrors allow you to mirror content from one ThoughtFarmer page onto another. This is especially useful for surfacing information from a project blog or department news page to the home page. Several performance enhancements make ThoughtFarmer 3.5 our fastest release yet. Built-in gzip compression reduces bandwidth consumption by 80 to 90% on some pages. New attachment handling speeds uploads and downloads while reducing disk usage. Improved server-side caching frees up processing power while improved client-side caching means your web browser never requests something it doesn’t really need. 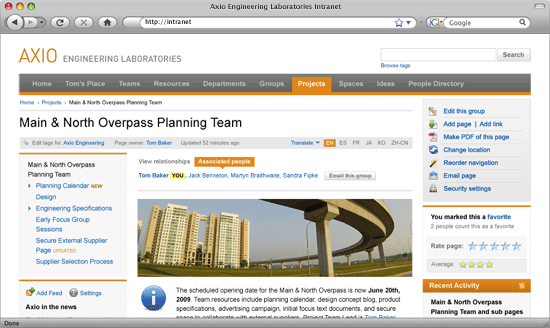 The end result is a fast, responsive intranet experience.